In the age of advanced marketing technology, like marketing automation systems and AI-powered predictive marketing, it is easy to forget the basics. Before spending time and money on advanced Internet marketing strategies, you should be entirely clear on what your objectives are. This may be obvious, but how to set this up may not be. For example, do you want to generate more leads, or get more sales transactions in the web shop? Perhaps you’re trying to reduce the number of support questions to your service team, or spread the word about your charity’s work overseas? Consider carefully what your primary aim is, and optimize different parts of your website and online marketing efforts accordingly. Once the main objective is clear, you need to define what measurable goals you have. A goal is a user-initiated action that signals to you that a visitor has taken another defined step towards buying a product, or done something else of direct or indirect value to your business. In web metrics, a goal is not a vague measure like the number of visitors or pageviews you hope to get, but rather it should be something that has an apparent relation to reaching the objective of selling a product. Goals are specific events that affect your business success, either directly or indirectly. In addition to sales transactions, there are other goals worth monitoring. These include the number of requests for quotes, requests for free product samples, the number of software downloads, or something else that a potential customer usually does before buying your product. But a goal can also be other types of goals that signal success, such as reducing the number of submitted support questions. Dependent on your business, you may end up with many goals you want to monitor. In fact, it may become difficult to get an at-a-glance top-level overview of your current business health if you have more than five goals to track. To solve this, you will have to define Key Performance Indicators (KPIs). These are a limited set of goals that measure your business success at an overview level. You will monitor the KPIs more regularly than other goals to track the performance and gain insight into the current status of your business. The KPIs will tell you if your website results are going up or down, and provide a measure to gauge trends and comparative data over time. You should only pick the most important goals as KPIs, or you will not see the forest through the trees. With the KPIs defined, continuously monitoring the result can provide valuable insights. For example, if your average purchase cycle is two months, you can expect a sales drop eight weeks from now if the number of requests for quotes decreases this month. The same may be signaled if you get fewer downloads of the evaluation version of your software product or requests for free product samples. 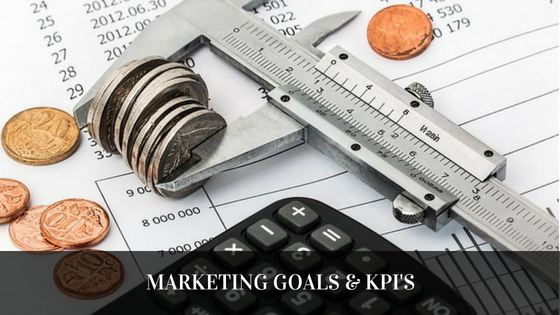 In effect, KPIs help monitor the health of your business at measurable key points in your online marketing system.